Home Middle Ages Who were the Varangians? An illumination from the 11th century chronicle of John Skylitzes showing Varangian Guardsmen. The Varangians were Scandinavians who traveled from Jutland and Sweden. They were first mentioned in the Russian Primary Chronicle in 859. In 862, Slavic and Finnish tribes rebelled against the Varangian Rus. The brothers Rurik, Truvor and Sineus led the Varangian people to settle around Novgorod sometime in the 9th century. Legend has it that the Varangians gave Russia its name. Varangian culture didn’t survive and the Varangian Rus eventually became slavicized, but Old Norse was still spoken in Novgorod until the 13th century. The word Varangians was mention after the name of Norse elite soldiers hired by the East Roman Emperor. Those soldiers was probably at the time the one of best trained soldiers in Europe. From various chronicles put together in the former Norse ruled towns, it is said, but still not really proved, that from about 950 every 4 year about 6000 soldiers arrived to the Kiev ruler’s disposal, probably, from the Baltic area and Norway. When they arrived in Kiev area, another group of 6000 left Kiev and went on Byzantine territory to be hired for 4 years by Eastern Roman Emperor. They were well trained in battles. It is documented in Constantinople that they were training every day, which not ordinary soldiers did. Also, notice that at the time it starts, in about 950, the Norse in Great Svitjud (Swealand) had threatened Constantinople with a great fleet. 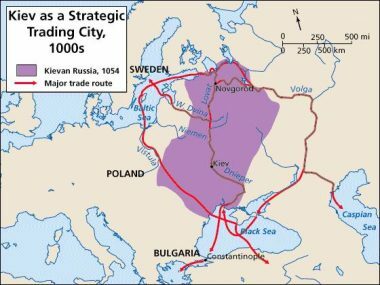 At the time the biggest town in Eastern Europe was Constantinople, and the second town after was Kiev, ruled by the Norse. And at least the nine greatest towns in Europe, next to Constantinople and Kiev was situated in Great Svitjud and ruled by the Norse. Rome was a small town compare to those towns, not mentioning London, Paris, Venetia, Genoa and likewise. And the economies of course were of a dignity compared to mentioned towns at the time. Varangians in Swedish stands for Varjag. But interesting is that there seems to exist a people (it is said that there is remains of about 1500 settlements in the area) in northern Norway round the Varanger bay which should be called The Varangians. There is also an old trade town about 40 km south of present town of Archangelsk. If we look at the overall archeological remains in the hole Norse region from an economic perspective, there is only one region up to the time of 1200, which present serious economic remains, and that is the island of Gotland. The first Nordic trade country probably from about 700, when a lot of trade posts over all Baltic see area were started by Gutic people. It is a trade route extending from Scandinavia through Kyivan Rus to the Byzantine Empire, mentioned in Norse Sagas and in the Russian Primary Chronicles as the route from the Varangians to the Greeks. The major trade routes consisted of a series of waterways and portages covering nearly 3,000 km from the Baltic (Varangian) Sea to the Black Sea, and into the Mediterranean Sea, the Sea of Azov and the Caspian Sea. It began near today Stockholm and crossed the Baltic Sea and the Gulf of Finland, followed the Neva River, Lake Ladoga, the Volkhov River, Lake Ilmen, and the Lovat River, and connected with the Dnieper River by way of the Western Dvina River. The route continued all the way along the Dnieper directly to the Black Sea and then followed its western coast to Constantinople. 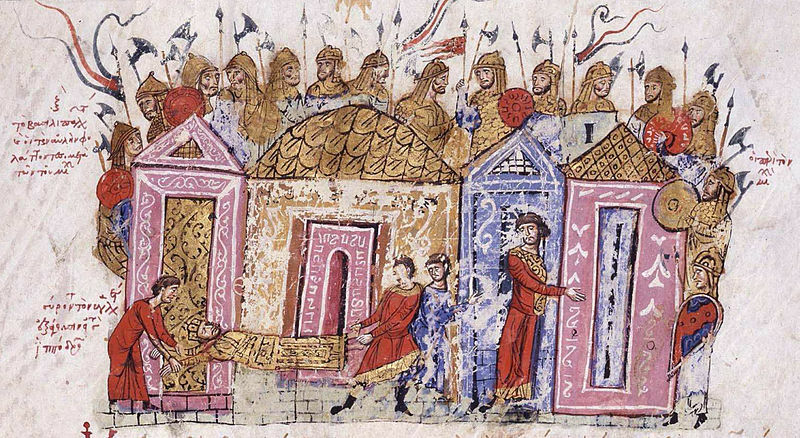 The Varangian Way was first used in the early 9th century. It played a major role not only in the development of trade in the Varangian ‘Kyivan Rus’ territories but also in the cultural and political transformation of East Slavic tribes into the Rus state with its center in Kyiv. Amongst the many cities founded or settled by the Varangian along the Varangian route were Aldeigjuborg (Ladoga), Holmgardr (Novgorod the Great), Smolensk, Liubech, Vyshhorod, Konugardr (Kiev), and Kaniv. Voyaging in the southern Ukrainian portion of the route was difficult owing to raids by nomadic tribes in the region, and by the early 12th century an alternate trade route into western Europe was being used that followed the Prypiat River, the Buh River, and the Vistula River. The Varangian Way is described in the Primary Chronicle and is mentioned by Constantine VII Porphyrogenites in his De Administrando Imperio (948-52).